Dreams first. Privacy second. Style always. 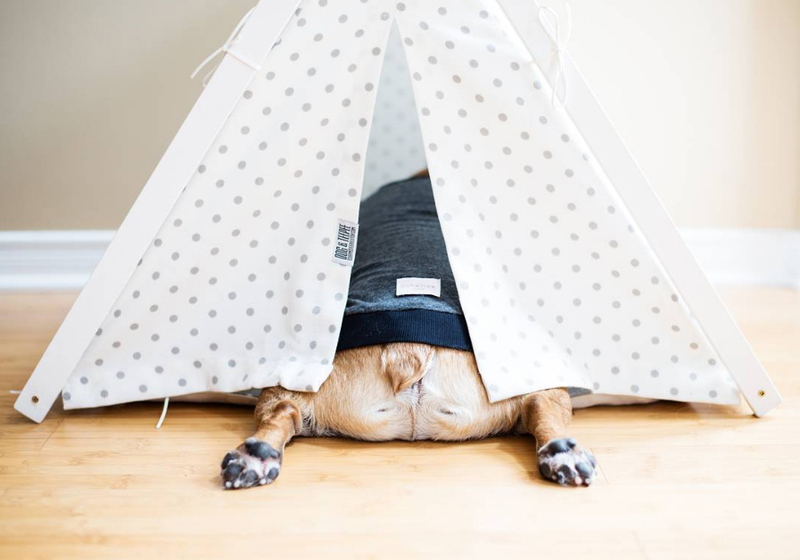 Dog&Teepee is Ukrainian brand dedicated to the most creative pet beds. Our passion for architecture and design coupled with the love for our furry friends grew into the desire to make a high-quality line of products for dog and cats. We believe that our furry friends should feel comfort and love no matter where they are. The most creative pet beds by Dog&Teepee are designed by our team based in Kyiv. All models are handmade in our studio by skilled craftsmen who construct each teepee using heavy-weight premium fabric, natural wood, and eco-friendly fiber. Each tent is inspected at every step in the production process and before packing and shipping. We are proud of our quality and glad that our customers appreciate that. Trying to make pets lives better, our design team is open for any suggestions and ideas and is always glad to create something special for you. So adorable! Easy to set up and perfect size for my French bulldog! Incredibly made! Our teacup pom absolutely loves it and it's the perfect size for her!